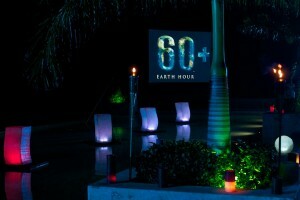 RIVIERA MAYA, MARCH 11, 2013 – Fairmont Mayakoba, a leader in hotel sustainability practices, will participate for the seventh consecutive year, in Earth Hour, the world’s largest global climate change initiative organized by the World Wildlife Fund (WWF). 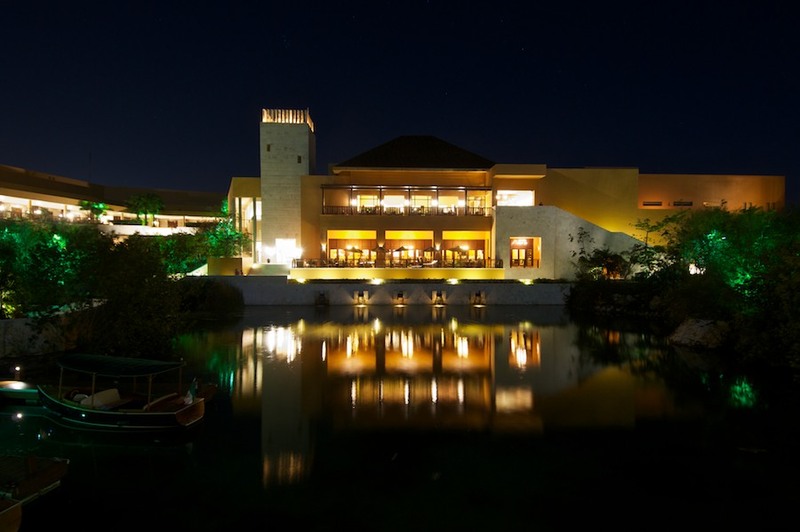 On Saturday, March 23, 2013 at 8:30 p.m., the iconic hotel in the Riviera Maya will join Fairmont properties around the world that will participate in the awareness event, by shutting off nonessential lights for one hour. In addition to switching off nonessential lighting for an hour, the luxury resort will also celebrate Earth Hour by inviting guests and visitors to participate in di fferent events including unplugged entertainment. For every guest participating in any of the activities listed below, Fairmont Mayakoba will donate $1 USD to Oceanus, a local non-profit organization working on reforesting the Mesoamerican Reef along the Riviera Maya. Coral reefs are one of the most affected ecosystems by climate change and a significant attraction for visitors to the Riviera Maya. The eco-friendly event may be the darkest night of the year, so archeologists Julia C. Miller and Alfonso Morales from Catherwood Travels will take advantage of this unique opportunity to give an equally entertaining and interesting talk about archaeoastronomy and the Maya use of astronomy. The ancient Maya are famous around the world for their magnificent cities, intricate hieroglyphic writing, and their skill in astronomy. The study of the archaeoastronomy of the Maya has brought to light not only their fascination with the heavens and the movements of the planets and stars but also how they recorded their observations in their books and their buildings, as it will be explored in this conference. Following, the archeologists, with the use of iPads, will invite guests to try to identify some of the constellations and planets that were so important to the ancient Maya. Surrounded by lush jungle and mangroves, little guests and families are invited for a Frogtastic Adventure, a night walk in search of the different wildlife that can be seen and heard on the hotel’s grounds. The hotel’s AAA Four Diamond Award oceanfront restaurant, Las Brisas will offer a Lights Out candlelight dinner highlighting an exquisite sustainable menu, while the Lobby Lounge will offer a Dark Night cocktail inspired by the eco-friendly event. There is something magical about listening to the sound of the waves crashing on the shore. Lighted by the Mayan moon, Willow Stream Spa invites guests to exercise and reconnect with nature by participating in an on-the-beach yoga session. Since opening in 2006, the AAA Five Diamond resort has been committed to protect the environment and sustainability by making the harmonious balance between luxury and nature a reality. Its construction included the use of recycled and sustainable materials whenever possible, and the relocation of over 10,000 plants. Its commitment to minimizing the hotel’s footprint on the planet is shown by supporting the development of local communities and encouraging guests to actively participate in environmental conservation. Fairmont Mayakoba has also been recognized with important eco-accolades like Rainforest Alliance Verified and the Green Key. Nestled in the heart of Riviera Maya, Mexico, the 401-room Fairmont Mayakoba is an AAA Five Diamond resort set on 45 acres within a private, luxury community surrounded by a lush mangrove forest intersected by crystal clear canals. The property has 40,000 square feet of meeting space, a 37,000 square foot Willow Stream Spa featuring 20 treatment rooms and a carefully crafted menu of services and distinctive treatments incorporating indigenous ingredients, and El Camaleón Golf Course, host to the only official PGA event in Mexico also featuring the Jim McLean Golf School. A dedication to a green philosophy has earned Fairmont Mayakoba verification as a Rainforest Alliance certified hotel, among other eco-accolades. 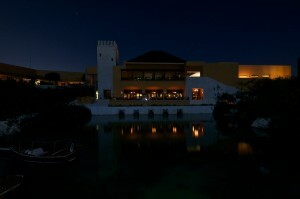 For reservations call 1(800) 441-1414 or visit www.fairmont.com/mayakoba. 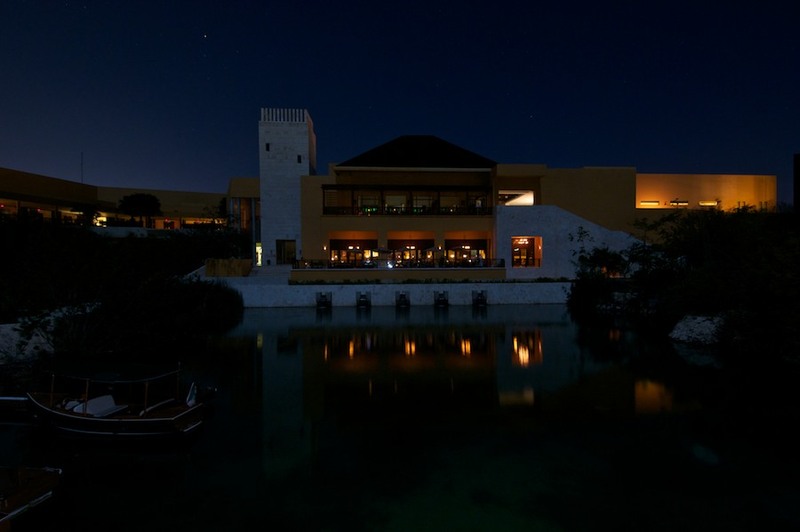 Become a fan of Fairmont Mayakoba. 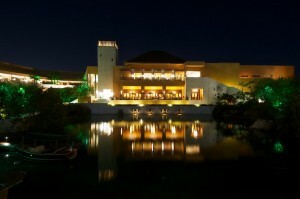 Join our online communities at www.twitter.com/fairmontmyk, and www.facebook.com/fairmontmayakoba. Fairmont Hotels & Resorts is a celebrated collection of more than 60 luxury properties around the globe, including Shanghai’s Fairmont Peace Hotel, The Plaza in New York, and Makkah Clock Royal Tower in the Kingdom of Saudi Arabia. The luxury brand’s distinctive hotels offer a sense of heritage and sophistication, warm, engaging service and culturally rich experiences. A community and environmental leader, Fairmont is also recognized internationally for its responsible tourism practices and award-winning Green Partnership program. Fairmont is owned by FRHI Holdings Limited, a leading global hotel company with over 100 hotels under the Fairmont, Raffles, and Swissôtel brands. The company also manages Fairmont, Raffles and Swissôtel branded luxury private residences club, whole-ownership residences and serviced residences properties. For more information or reservations, please call 1-800-441-1414 or visit fairmont.com. Villa del Palmar at the Islands of Loreto, the newest member of Villa Group Resorts and Baja’s first “million-star” resort, today announced an “every third night free” package from Alaska Airlines Vacations, meaning a six-night stay will earn guests two free nights at the resort. And, with Alaska Airlines increasing its flights from Los Angeles International Airport (LAX) to Loreto to be daily departures starting February 24, 2013, this deal is even better. Travelers looking to experience the remarkable beauty, exhilarating adventure and authentic culture of Loreto also can enjoy a free upgrade to a one-bedroom suite at Villa del Palmar at the Islands of Loreto with any stay six nights or longer. Guests of the resort stay in unparalleled luxury, which makes it easy to relax and enjoy the tranquility of the property and the stunning Sea of Cortez. Each room has stylishly contemporary décor and includes a private balcony with uninterrupted views of The Bay of Loreto, a kitchenette where guests can cook up their catch of the day, and plenty of space to unwind and soak up the unspoiled beauty of the region. For more information about Villa del Palmar at the Islands of Loreto, visit http://www.villadelpalmarloreto.com/ or call 866.209.0726 from the U.S. or 855.440.5590 from Canada. The Mexico Tourism Board is showcasing the highlights of a Mexican luxury getaway at this week’s South by Southwest (SXSW) festival and conference series. In partnership with Forbes, Mexico will be on-site to celebrate the “30 Under 30” panel, which recognizes the most creative and entrepreneurial business pioneers today. The exclusive event will include the indulgences and flavors of a Mexico spa experience, from head and shoulder massages to savory Patron-infused canapes and desserts. Exotic Mexican flowers and relaxing lounge furniture will transport guests to the extravagance of Mexico’s rich luxury offering. The Riviera Maya is one of Mexico’s leading luxury destinations, with ten of Mexico’s sixteen AAA Five Diamond properties located in that region. Other premier luxury destinations include celebrity favorite Los Cabos, the beach resorts of the Riviera Nayarit and Mexico City which is home to several world class luxury hotels and two of the World’s 50 Best Restaurants according to the San Pellegrino rankings. Renowned luxury travel network Virtuoso has ranked Mexico number two in the world in luxury destinations, second only to Italy, and has also recognized Mexico as the world’s number one spa destination. The Mexico Tourism Board was also recognized as “Virtuoso Tourism Board of the Year” in 2012. Mexico has continued to attract a record-breaking number of tourists from around the world. With a rich cultural showcase and UNESCO World Heritage cuisine, the destination offers an experience unlike any other in the world. It is definitely different when you travel with your kids. You are more cautious about everything, from where you explore to what you eat. And the late nights in the cantina are not happening, but neither are the brain-thumping hangovers or the embarrassing karaoke performances. Seeing the country filtered through your kids, noticing what they find important, is like discovering it yourself all over again. Here are some great tips and how to do it.